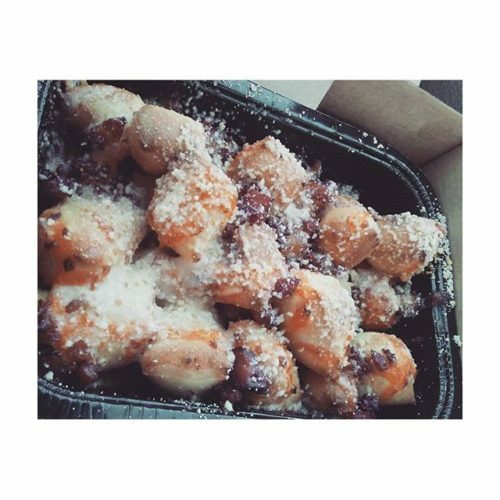 The Little Caesars secret menu could be just what you need if you’re looking to spice up the traditional Little Caesars menu. This secret menu offers a few interesting tips and tricks to help you get more from your favorite pizza place. You can make their famous Crazy Bread a little crazier, you can load-up on your favorite toppings, and much more. Be sure to check with our Little Caesars Nutrition Info page once you’ve read through this secret menu. 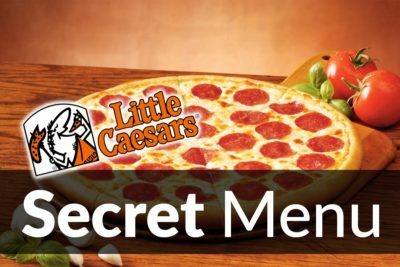 As well as some information on calorie content, sugar and sodium, you can also discover some healthier pizzas, sides and more.With that said, let’s take a look at what the Little Caesars secret menu can offer you. What is on the Little Caesars Secret Menu? The Little Caesars Crazy Bread is what attracts many customers to this chain, helping to sway them away from the likes of Domino’sand Papa John’s. This hot, doughy bread is coated in butter and garlic. But you can make this crazy bread even crazier. You can ask them to bake all kinds of toppings and cheese on top of it. There really is no limit to what you can turn this bread into. In fact, if you add enough toppings and enough cheese, you can make your own Crazy Bread pizza. Looking to get some extra protein and to limit the amount of sugars and other carbs? Try asking to “Go Light” on the sauce and “Go Heavy” on the cheese. 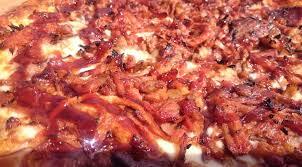 They will keep the sauce to a minimum, pile the mozzarella on top and do as you please with the toppings. If you want, you can “Go Light” with both and then load the toppings on. You can also “Go Heavy” on the sauce and light on the cheese. This will reduce the protein, but it will also reduce the fat. Our favorite Little Caesars secret menu hack uses some of their delicious sauces baked into the pizza itself. If the first thing you do is rip open that sauce and pour it all over your pizza, then this is the menu hack for you. All you need to do is ask the server to take the dipping sauce and pour it onto the dough along with the tomato, effectively baking it into the bread. 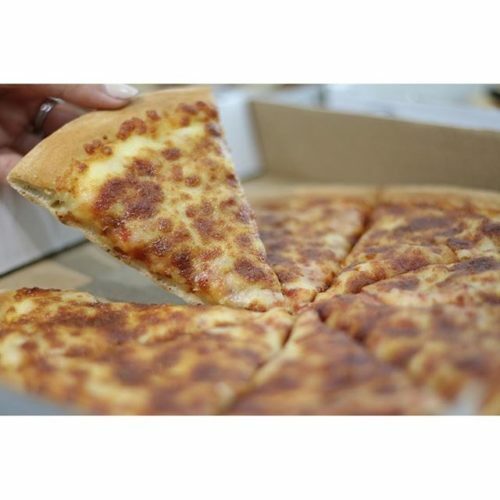 It works best when the cheese is placed on the top, adding an extra kick to the dough. You can also ask them to add a little to the crust, along with some extra cheese. If you’re always leaving your crusts, this could be just what you need to convince you to clear you plate (or box, as the case may be). 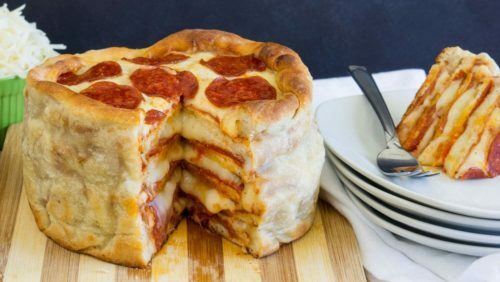 Take a look at that pizza cake and tell me you’re not now scrambling for the pizza menu. The truth is, that piece of heaven is not on the standard menu at Little Caesars. Nor is it on the standard menu anywhere else for that matter. However, you can make it yourself with a few secret menu hacks. Just ask them to bake a regular pizza with a deep dish pizza, stacking the two. This won’t quite give you what you see in the picture, but it’s as close as you’re going to get. It’s a big hunk of cheese, sauce and dough, and one that could become your favorite Little Caesars menu item from now on. You can also bake a combination of deep dish pizza and Crazy Bread. In fact, you can pretty much combine any menu items. If the cook is willing, then there is no end to what you can create and combine. Just be sure to send us a picture of any outlandish creation that you concoct.